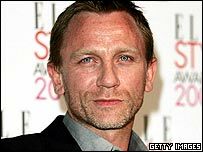 James Bond producers have refused to comment on reports that British actor Daniel Craig will be the next 007. The Sun newspaper said the Road to Perdition and Layer Cake star had been asked to take over from Pierce Brosnan in the next three films. A spokesperson for production company Eon said: "We're waiting for our director to finish the film he's currently working on. "Then I'm sure we'll be commenting a lot on all sorts of things." Goldeneye director Martin Campbell will start work on the next Bond film, Casino Royale, after making The Legend of Zorro, which is due to be released in October. A spokesperson for Craig also declined to comment. The actor, 37, has emerged as a major talent since starring in BBC drama Our Friends in the North in 1996. His big screen career took off in 2001 with a role in Lara Croft: Tomb Raider, followed by acclaimed parts in romantic dramas The Mother, Sylvia and Enduring Love. Craig has won prizes at the British Independent Film Awards, the Edinburgh International Film Festival and the London Critics Circle Film Awards. Casino Royale, the 21st Bond film, will be a new version of James Bond creator Ian Fleming's first novel. It was also turned into a spoof movie starring David Niven in 1967. Other names linked with the role have included Clive Owen, Dougray Scott, Colin Salmon and Hugh Jackman. The new star will be the sixth official James Bond after Brosnan, Timothy Dalton, Roger Moore, George Lazenby and Sean Connery. 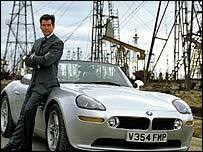 Brosnan starred in four Bond movies, starting with Goldeneye in 1995 and ending with Die Another Day in 2002. But he said producers went back on an offer for him to return, adding he was "gutted" when film-makers changed their minds.